Posted: Tue Sep 19, 17 7:42 pm Post subject: a close rellie? 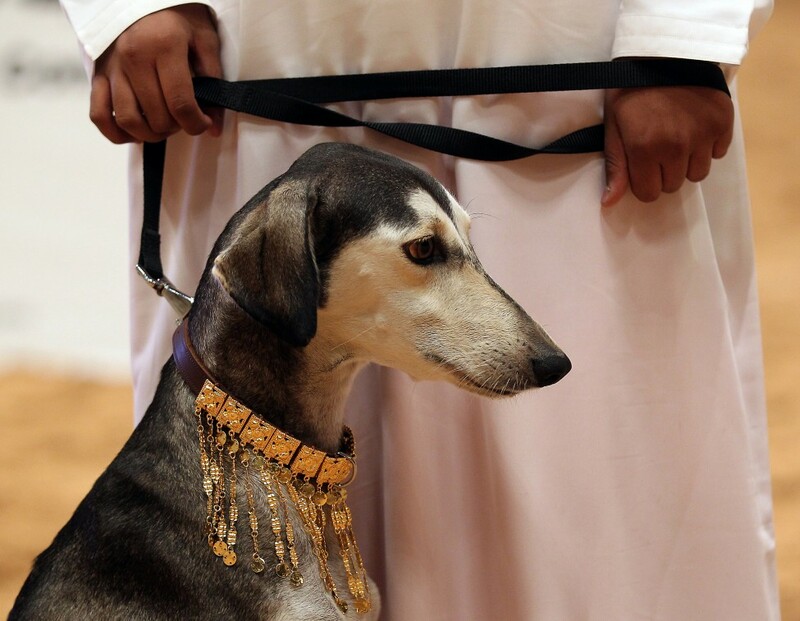 i spotted this beautiful beast in the reports of the UAE hunting show photo linky and there is a striking family resemblance to my "mistress"
i will enquire if it is a rellie but by any standards that is a stunning beast, a perfect example of what a saluki should be. the kennel club have very much missed the point when it comes to dog breeding, the one here is probably a nice mutt and all that but it isn't a saluki as we know them. An ex girlfriend of mine had a saluki,Cairo he was golden coloured,i have never seen a dog with such strong teeth,i used to take him half a pigs head,the next time I called,only the teeth were left,and pigs skulls are like steel. 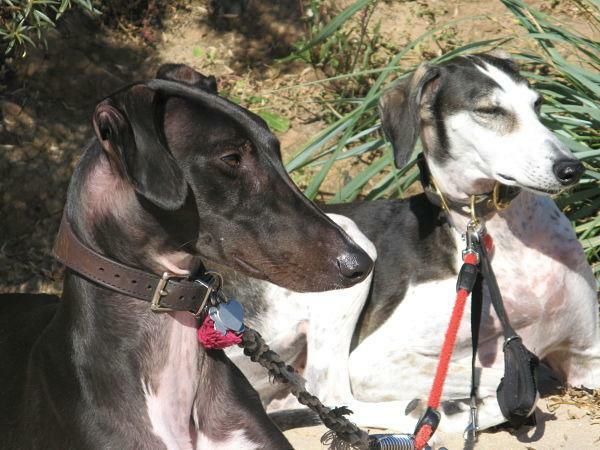 it aint a saluki as i know them and as you mentioned it does seem to have more than a hint of afgan hound to it. .the first one seems to have it's own servant ( well it would ) and was at the 2017 uae hunting show . afaik it isn't a competition in terms of prizes but it is a chance to show off what wonderful hawks, camels and salukis one has. the children of a beast like that would be a gift to an honoured friend which might be reciprocated in kind with a similar beast in due course from your kennels or perhaps with a race horse, a wife, a learjet or best of all with a lifelong friendship that is far more valuable than any possession. the arab "breed standards" and protocols are at least a millennia old on paper and much older in practice and have produced beasts like that one and KI el Bahara's family. Calli's kennel is top notch .